The culmination of a life’s work for Dr Edward Bach, this system of 38 plant and flower based essences can help balance the emotional demands of everyday life. Each of the 38 essences has the potential to balance an everyday emotion we all feel from time to time and personal combinations can be tailored to everybody’s individual needs. All you need to do is to select essences that reflect your mood, situation or personality the best. 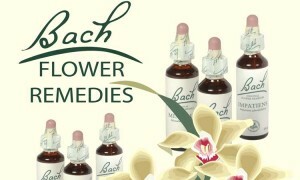 The 38 flower essences are made from wild plants, trees and bushes and are still prepared today using the same methods Dr Bach outlined in his original writings. Each solution is used alone or in conjunction with other solution, and each flower is said by advocates to impart specific qualities. The solutions are also used on pets and domestic animals. Remedies are usually taken orally. The solutions may be recommended by a naturopath or by a trained Bach flower practitioner after an interview. Some vendors recommend dowsing to select a solution. The best known solution product is the Rescue Remedy combination,which contains an equal amount each of Rock Rose, Impatiens, Clematis, Star of Bethlehem and Cherry Plum remedies. Rescue Remedy is a trademark and other companies produce the same formula under other names, such as Five Flower Remedy. There is no need to swallow the pills with water; just to be chewed. So Spread your wings and extend your horizon with the INCREDIBLE EFFECTS OF DR.BACH FLOWER REMEDIES OF ENGLAND – not for treatment of diseases as such, but for solving problems and overcoming difficulties.